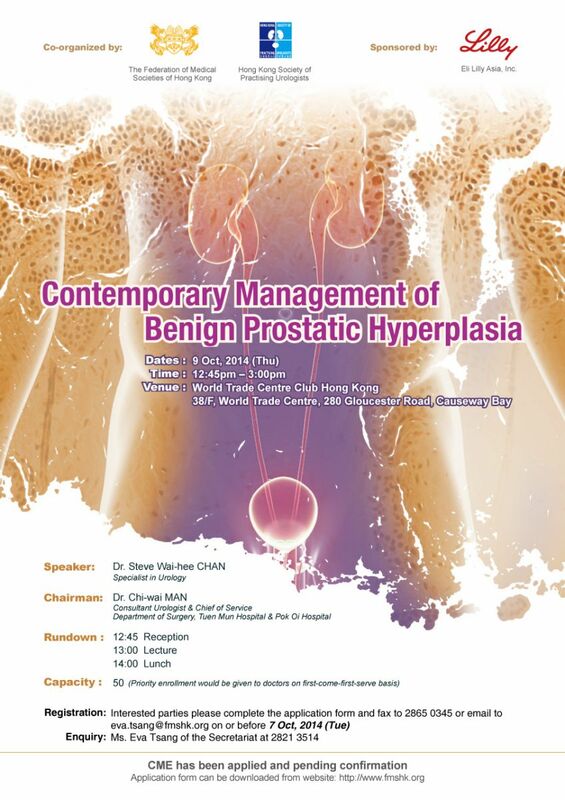 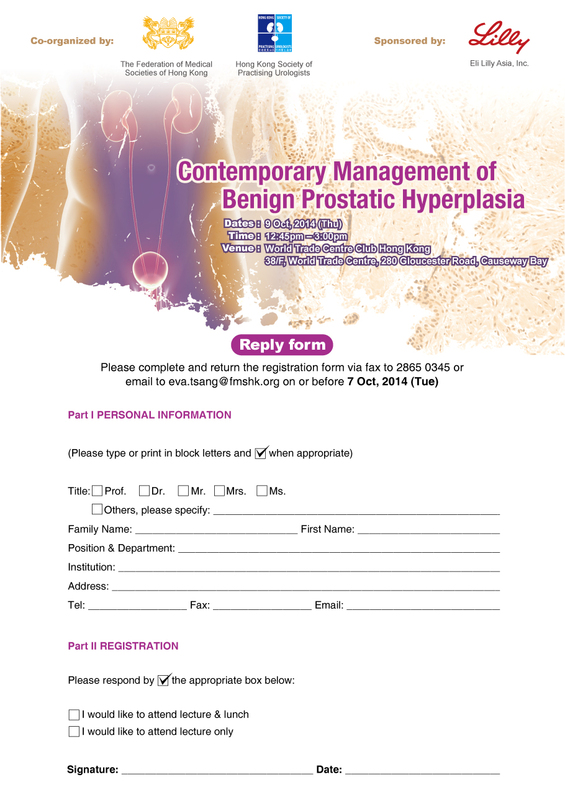 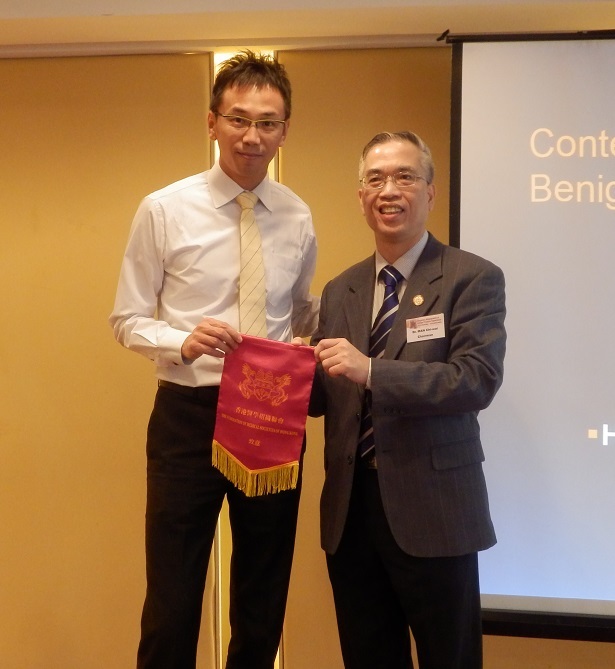 On 9 October 2014, a lunch symposium on Contemporary Management of Benign Prostatic Hyperplasia was co-organized by the Federation and Hong Kong Society of Practising Urologists. 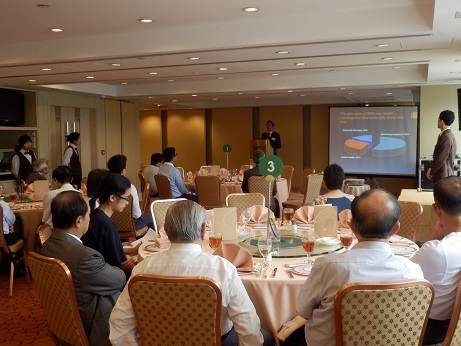 It was held at the World Trade Centre Club Hong Kong, Causeway Bay. 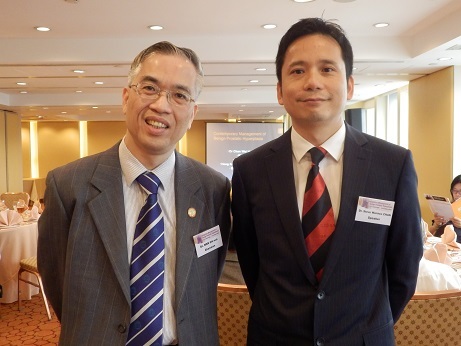 The symposium was well attended by doctors, nurses and allied health professionals. 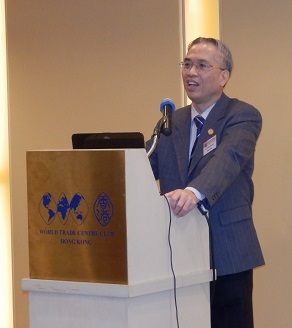 The Federation was privileged to have Dr. Steve Wai-hee CHAN, specialist in Urology as our speaker; with Dr. Chi-wai MAN, Consultant Urologist & Chief Service of Department of Surgery, Tuen Mun Hospital & Pok Oi Hospital, as our chairman. 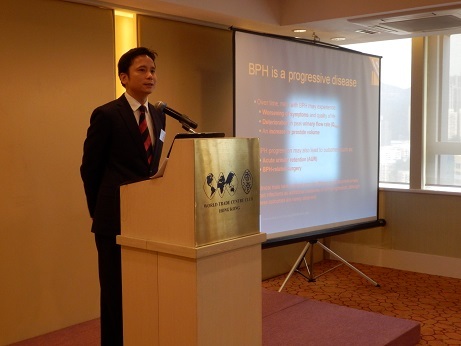 Dr. CHAN had analysed BPH pathophysiology and symptoms, demonstrated assessments and shared different management case studies. 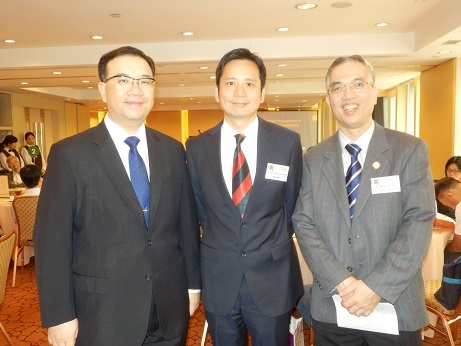 We would like to thank the generous support from Eli Lilly for sponsoring this event.